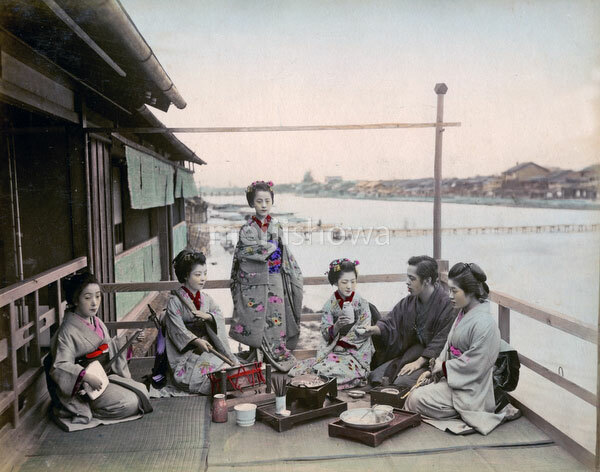 Several maiko and geisha are entertaining at the noryo yuka (summer platform) of a restaurant in Kyoto. The woman on the left is playing the shamisen, while the woman next to her is playing a taiko drum known as ootsutsumi. One of the maiko is pouring sake.